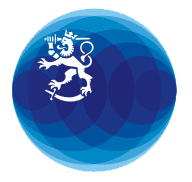 A United Nations Technology Innovation Lab (UNTIL) will be officially inaugurated on Wednesday 5 December at a Slush side event, co-hosted by the Ministry for Foreign Affairs of Finland and the Office of Information and Communications Technology (OICT) of the United Nations. “We are so grateful to Finland for hosting the UN’s very first European Technology Innovation Lab. Frontier technologies are a powerful tool to support our efforts towards peace and prosperity for all and to address issues affecting marginalized portions of our society. Technology innovation succeeds when it makes a difference in people´s lives. We have high hopes for UNTIL Finland to address key challenges for a sustainable future for all,” comments Assistant Secretary-General Atefeh Riazi, the UN’s Chief Information Technology Officer. The Lab will be located in A Grid, a new centre for growth companies at the Aalto University campus. In addition to startups, it will also benefit from collaboration with civil society actors, academia and the international network of other UNTIL Labs. ”The UNTIL in Aalto University premises offers an access point for Finnish startups, other companies, universities and other research units to the emerging markets. I strongly believe that innovations can play an important role in solving the burning issues of our time. The UN system is a unique pipeline to scale up practical solutions,” comments Anne-Mari Virolainen, Minister of Trade and Development of Finland. The UN Lab in Finland focuses on the four thematic areas of circular economy, education, peace and security, and health. It is a node in a growing network of UN Labs spread across the world. Each of the global UNTIL Labs will focus on different thematic areas. UNTIL Labs create a platform for problem- solving between the UN, the private sector, academia and civil society, with the help of startups. More information about UNTIL Labs.